As of this morning, Fortnite Battle Royale players no longer receive explosive damage through structures or environmental objects, in a swift reversal of a change made barely one day ago. Announced this morning on Reddit, the hotfix was Epic's answer to the overwhelmingly negative response it received from its call for feedback, which currently sits at zero karma and has over 3,000 comments. "We’ll be reverting the explosive damage changes in yesterday's update," Epic said. "We've heard a lot of great input on how we can better incentivize aggressive play and will be keeping that input in mind while we consider other options." The update in question was Wednesday morning's v6.21 patch, which made it so that 25 percent of an explosion's damage penetrated nearby structures and objects, damaging players on the other side. Previously (and now, currently), explosions would damage the structures but leave the sheltered players unharmed. This was/is a core mechanic of Battle Royale's defensive strategy, which Epic has been working to make less viable in high-level competitive play, as players hiding in boxes doesn't make for good esports. Professional Fortnite streamer Tennp0 was one of thousands of players who voiced their displeasure with the new change. "I don't think shooting rockets or any type of splode [sic] going through walls will change the imbalance in aggression or defensive gameplay in competitive play," Tennp0 said in his comment on the feedback post. "The imbalance that I see is that, even as super aggressive players (Jaomock and I) we can't really play aggressive because it's not rewarding at all. We spend so many mats, just to get nothing back. No shields. No mats back. And nowhere else to farm. And we end up having a less % in winning in a rng based circle." Players also pointed out that recent changes to the Down But Not Out mechanic, when paired with v6.21's new explosions, caused headaches in duo and squad play. "If your teammate is down and you build a 1 by 1 to revive, someone could fire an rpg from 200m away and your teammate is dead," u/Mehrdad37q said. Other users said that Battle Royale's explosive weapons are already too powerful. "RPGs and GLs already completely blow apart a 1x1, and you'd have to flail your mouse around while backing up and pray you're not taking 100-200 damage," u/runescape1337 said. "This change does not allow a player to be aggressive or defensive. The advantage always goes to the person with the explosive, no matter what the scenario is. This is not healthy for the game." 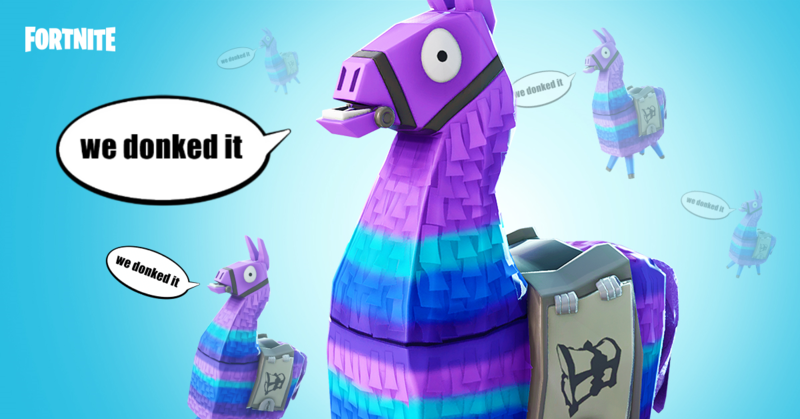 Epic's immediate decision to revert explosions back to their pre-v6.21 state shows that development is willing to undo unpopular updates without hesitation, at least when it causes real issues that most players will encounter. Unlike that whole "take away their Battle Stars" thing, which was a pretend problem that didn't actually matter, which Epic rightly ignored.